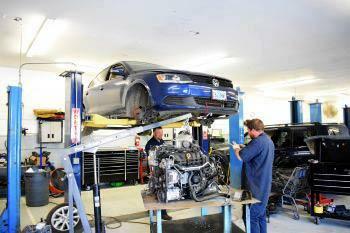 Get Volkswagen repair from the VW repair shop that knows them best! Service and repair specialists on Volkswagen since 1976! 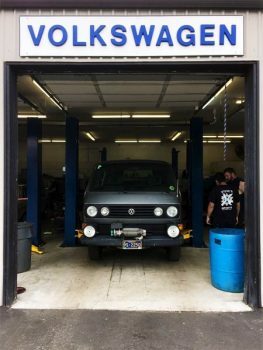 In 1974 Steve Spinnett, owner and founder of Steve’s Imports decided to officially open his VW repair business specializing specifically in air-cooled Volkswagen’s here in SE Portland. He originally named his business “Steve’s VW’, which was its first name. 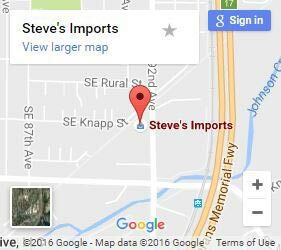 Eventually, a couple of very threatening letters from Volkswagen of America’s legal department caused Steve to change the business name to Steve’s Imports, which turned out to be a blessing. Steve restored well over 1000 VW Bugs, busses and Ghia’s filling up our property for decades to come. Shouldn’t your Volkswagen mechanic be as passionate as you are? Over the last 42 years we have seen the evolution of VW’s as the Vanagon, Jetta, Rabbit and Golf’s became increasingly popular in the ‘1980’s, and then the Eurovan and Passat which arrived in the early 1990’s. Since then we have serviced pretty much all makes of Volkswagen including the New Beetle, GTI/R32, Phaeton, Touareg, Tiguan, CC, Eos, Rabbit and just about every model of VW imported and not so imported to the USA. We have a soft place in our hearts for these types of vehicles. Our technicians are not only professionals but also passionate Volkswagen enthusiasts. Our Volkswagen mechanics are VW gear-heads. We can repair any issue your vehicle has. We’ve been working on VW’s since the early days. Get masterful work at affordable prices. Our mechanics love these cars as much as you do. We love to talk VW with you! If you want to come show off that convertible T1 you have sitting in your garage, please come by. We are always making time to swap stories about “that time we camped in our Vanagon on the side of Highway 101 because our alternator burnt up” or “that time we cooked our motor racing our 2200cc bug” or “check out this 21-window bus we found sitting in a barn!”. I am sure you have a special story about your VW that still makes you smile. Timing chain tensioner gasket leaking. Very common and very fixable. Can cause leaks onto exhaust which is dangerous only in extreme cases. Coil failure in the Passat, Jetta, Golf and Beetle. This typically happens at over 75,000 miles. We keep these parts nearby so we can take care of it asap when you run into this issue. TDI glow plug failures causing check engine lights. These often happen after a vehicle has aged beyond 100k miles. This can keep the engine from starting or can cause the annoying CEL to illuminate. Oil sludge in turbocharged engines. The oil in certain turbocharged VW models has trouble handling the heat. This often creates excess sludge and can cause the oil pickup tube to clog. Evap leaks. These leaks are caused by fuel vapors leaking from the engine which can cause emissions faults and reduced fuel mileage. We have proper equipment for testing and repairing. ABS module failure. ABS is a modern safety feature. It lets you quickly brake without locking the wheels. If yours is failing or causing your ABS or ESP light to come on, we can fix it. Fuel pump failure. A systemic problem in TSI motors, symptoms may also be due to a worn camshaft or camshaft follower. We can diagnose which. Seized AC compressor. Because a seized compressor can spread debris throughout your AC system, it’s important to get this fixed as soon as you see signs. Today in his sixties, Steve will challenge anyone, anytime, to a VW engine pull. VW questions are more than welcome and answers are free! Have we experienced oil pressure issues on 1.8t engines? You bet we have. Have we dealt with 2.0L TDI timing issues? Way more than once. How about a check engine light with no fault codes? You guessed it. Absolutely. You have no coolant circulation and no defrost on your 2.8l VW, of course we know what to do! Your ABS light keeps beeping every time you start your Jetta? That is an easy fix. Do we have to pull the timing chain tensioners to replace the famous leaking tensioner gaskets? Just ask! There are clicking slapping noise coming from your Eurovan timing chain? Time to relieve some tension, no pun intended. We understand that VW owners like to be involved in the service process of their VW, and we respect that. Oh, about that pesky clicking noise in your Vanagon that gets loudest after your Synchro has been sitting. No worries, call us, so we can sneak-a-peek and be your Volkswagen answer man. See what’s up with these valve adjustments, conversions to hydraulic lifters, timing belts, and chains. Line bores, machined flywheels, diagnose the “check engine light,” syncing the dual carbs—troublesome to you, simple for us. Most of all, you can be secure with us. These vehicles are like family, and that’s how we’ll treat yours. Your source for qualified Vanagon Repair from our expert team of legacy mechanics. Vanagon’s have become one of the most popular recreational vehicles in the NW, especially the Portland area. They are everywhere! However, it takes a special kind of person to work on these unique vehicles and understanding what makes each Vanagon unique is so important. We love all Vanagon’s and have worked on countless Vanagon’s with conversions with 2.2 and 2.5 Subaru engines, as well as 1.8, 1.9TDI and 2.0 VW motors and many more variations. We always have a Vanagon Westy project in the shop, sometimes many at a time. We do everything from aftermarket upgrades to full restorations. Things like ball joints can be done same day, and heavier duty auto repairs like cylinder heads will usually need to be dropped off for the week or so. Engine rebuilds take a little bit longer unless we have a pre-built motor ready for you. 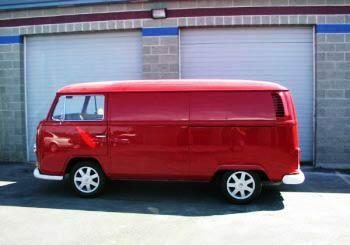 We also service the early 80’ to 83’ 2.0 Aircooled Vanagons on a regular basis. We can completely rebuild the suspension and powertrain on your synchro as well as perform upgrades on commonly failed parts such as the infamous instrument cluster circuit wrapper with printed circuit board led kit and dim/wobbly headlights with the South African 4 headlamp kit. Another unique repair that Steve’s offers is complete restoration and repairs of Vanagon, Bus and Eurovan pop tops. Including Westfalia, Winnebago, Riviera and most other camper tops and tents. We own, drive, fix and live Vanagons. 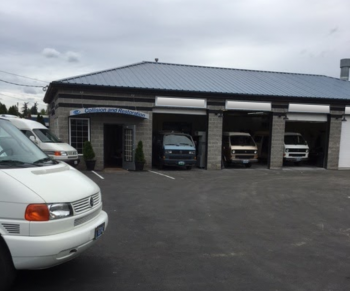 Contact us for VW repair in Portland today! Steve’s Imports has been servicing and repairing Volkswagens longer than any other vehicles we currently care for; over 40 years. From the earliest Busses and Bugs to Golfs, Jettas, and Passats, we have years of hands-on expertise to keep your VW running for the long haul. With regular maintenance, a Volkswagen should be able to last for decades, and we’ll ensure that your vehicle lasts a lifetime before showing any signs of slowing down. If you love your microbus like it’s a member of your family, then we’re the folks that will make sure it never breaks your heart. The same goes for that Bug that’s outlived all the other vehicles you’ve owned that could actually fit your whole family – Steve’s Imports will keep her humming through the next generation. Call or contact us today. We’ve watched the Beetle evolve over the years, remember in 1998 when the New Beetle hit the market? One of Steve’s happiest moments was when he surprised his daughter with a brand new (at the time) VW Beetle for her high school graduation present. Here dream car came true. It is very rare for a VW mechanic to buy a car brand new, but Steve wanted to make it a big surprise. Rebekah his daughter has since owned (and wrecked) a few VW Beetles since her late teens. What are mechanic Dad’s for? Just as we are experienced with fixing New Beetles, so we are comfortable working on a 1960’s convertible, as we are the latter water cooled Bugs, Golf, Passat, Eurovan, Rabit, Jetta, GTI’s and all that wear the VW logo. The Golf is still one of the most dependable cars on the market today. Likewise, we can keep that vintage Rabbit running up to par, just like a brand new Mk7. Perhaps safety and reliability has driven you to sell your old VW Bus and buy a Passat, or maybe it was something as simple as needing heat and defrost. Either way we can make sure your early or late model VW is roadworthy for the long haul. We are here to keep your VW experience alive for decades, and generations to come. We want to make sure that you get the driving experience, safety, and performance that your VW was designed to give you.